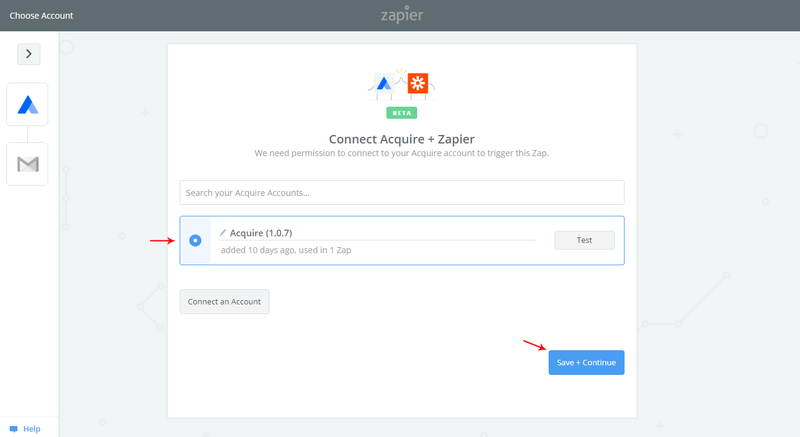 Using Zapier, you can connect Acquire to send chat transcripts, create new leads and contacts in your CRM and much more. 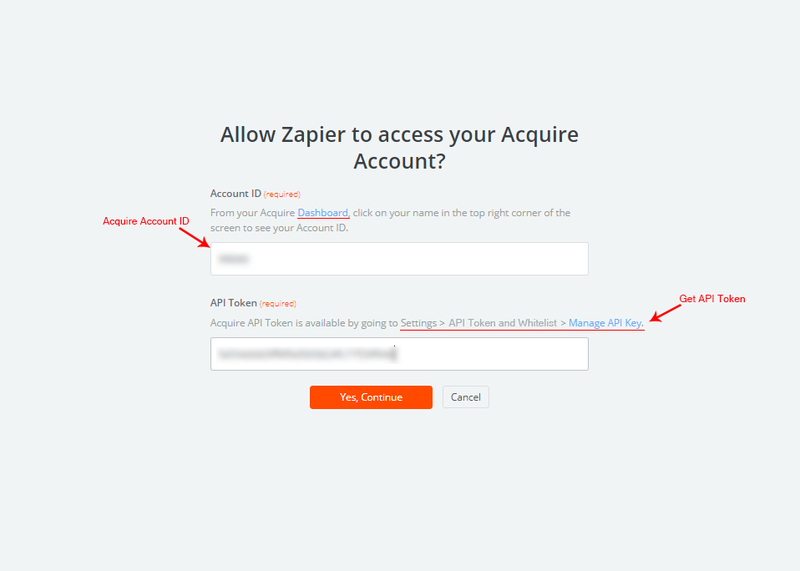 First Login in Acquire Dashboard Setting > Integration > Click on Zapier. 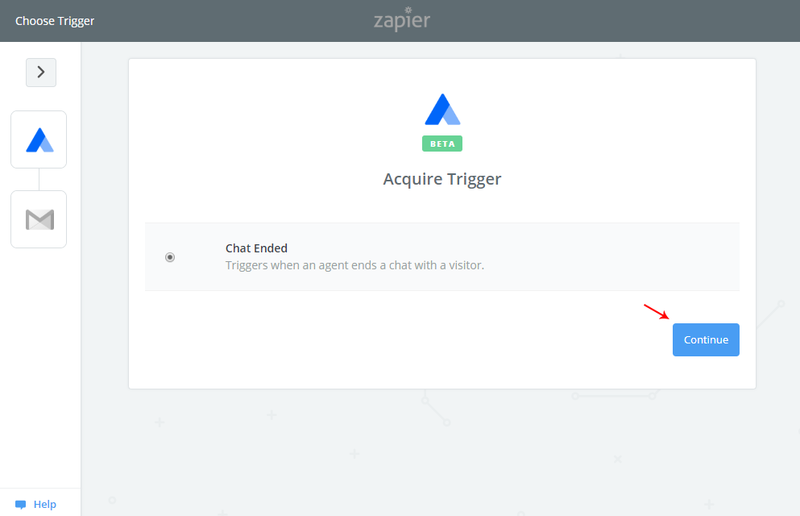 Select Trigger From Acquire Trigger App, here we are using “Chat End” Trigger, Acquire trigger will be called when recent chat ended by an agent. After choosing it to your Zap and Click on Save + Continue to proceed. 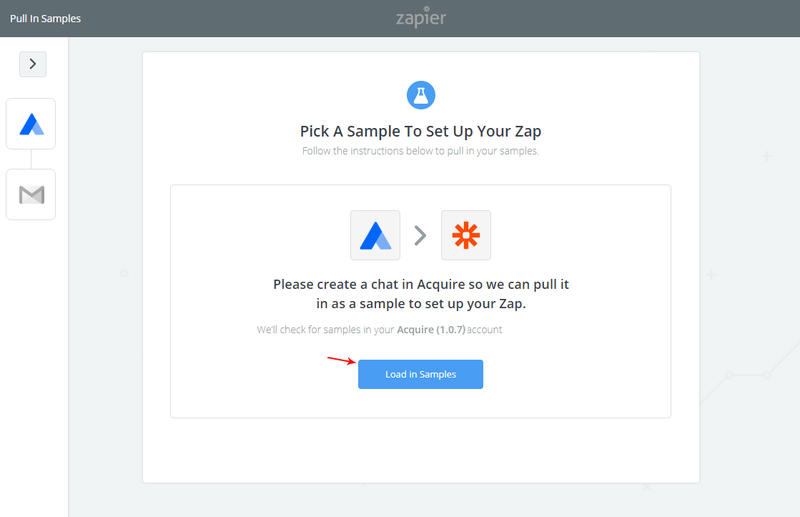 Connect and create your Acquire Live Chat account to zap. 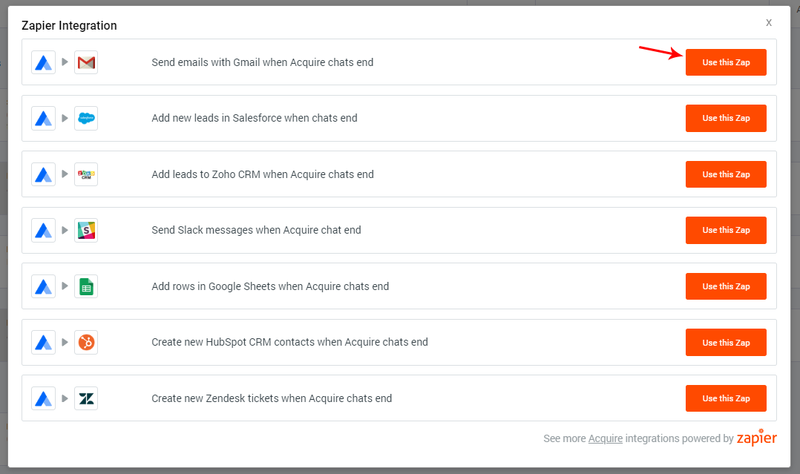 Add Acquire live Chat API token and click on continue. 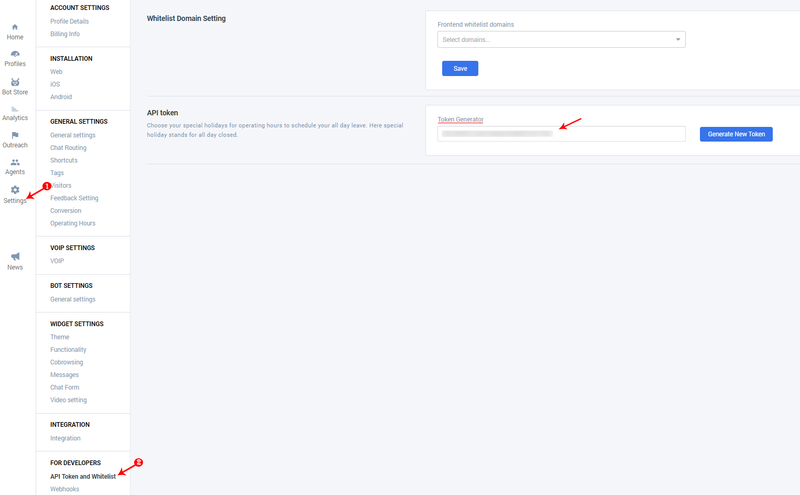 The first login Acquire and click on dashboard right side corner Username [YOURNAME] and use your Account ID. For API Token, Setting > API Token and whitelist get API token ( if you not seeing any token, generate new token ). 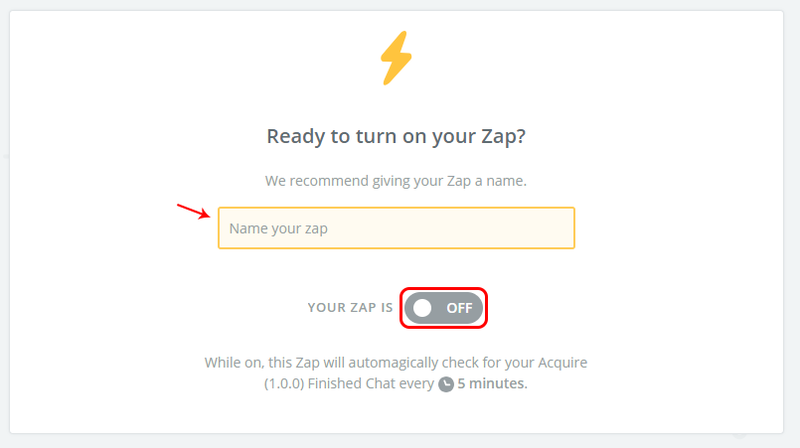 please make sure you have some recently ended chats, before making any Zap. 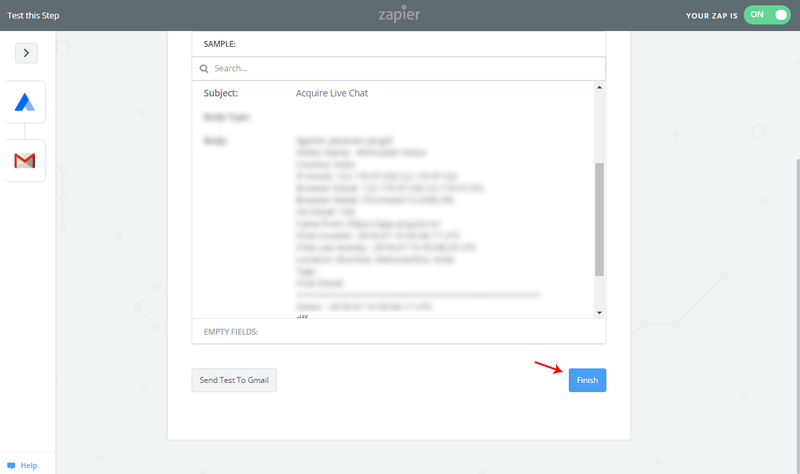 please select any chat to set up a zap. 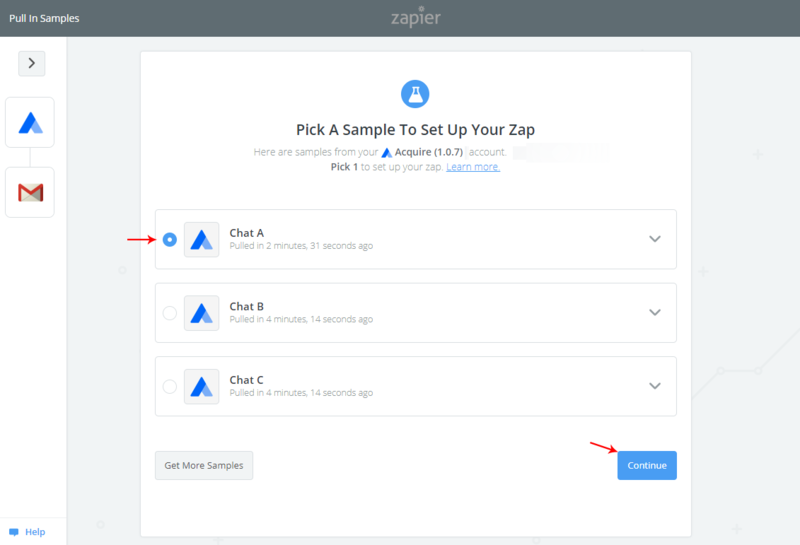 To making Zap, we need to add action app to send chat transcript in that app, So as giving example, we are using Gmail to send emails when acquire chats end. 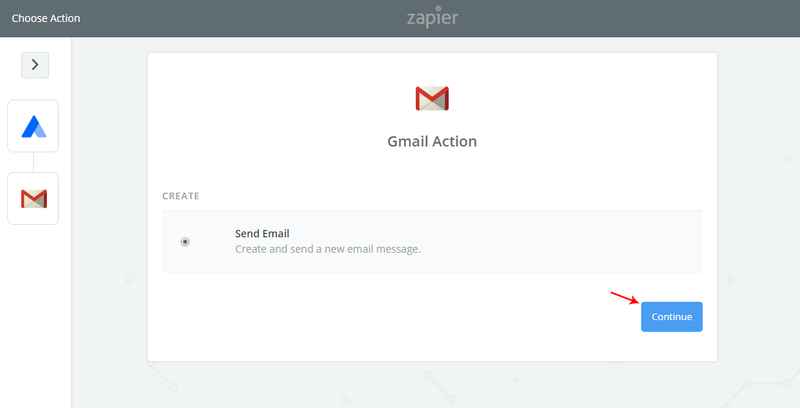 Choose to Send Email as the action and click on continue. 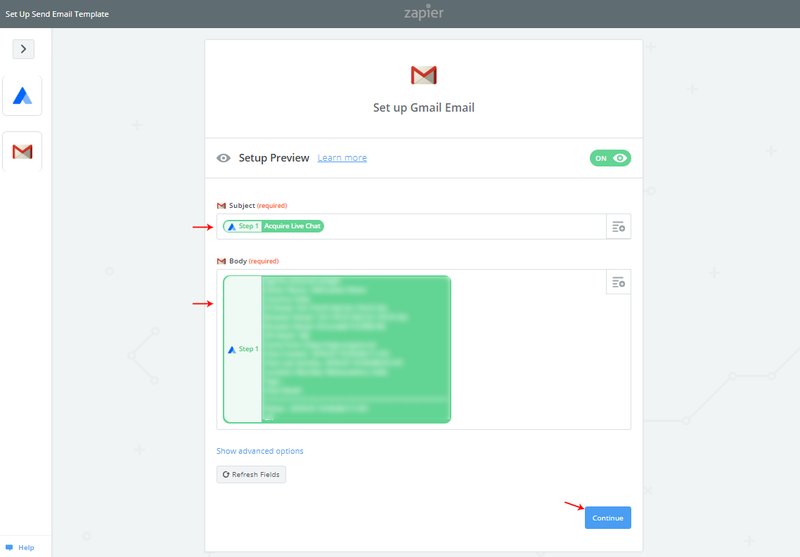 After a select action, connect with your Gmail account and confirm it by clicking on Save + Continue. 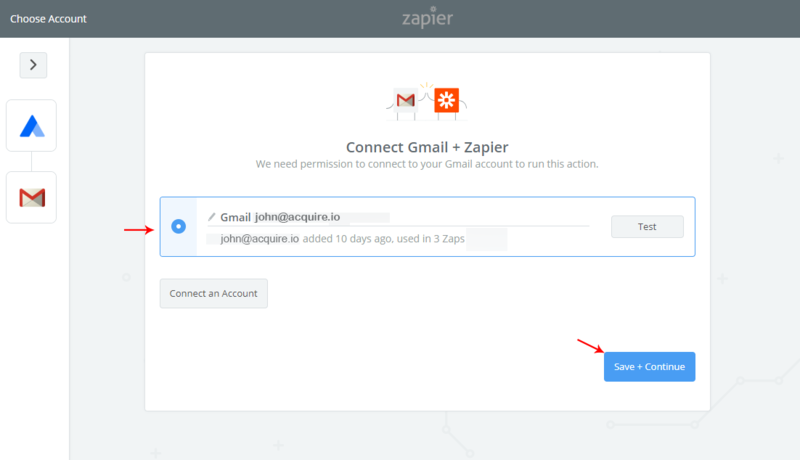 You can also select Gmail account from existing accounts or also create any new account. 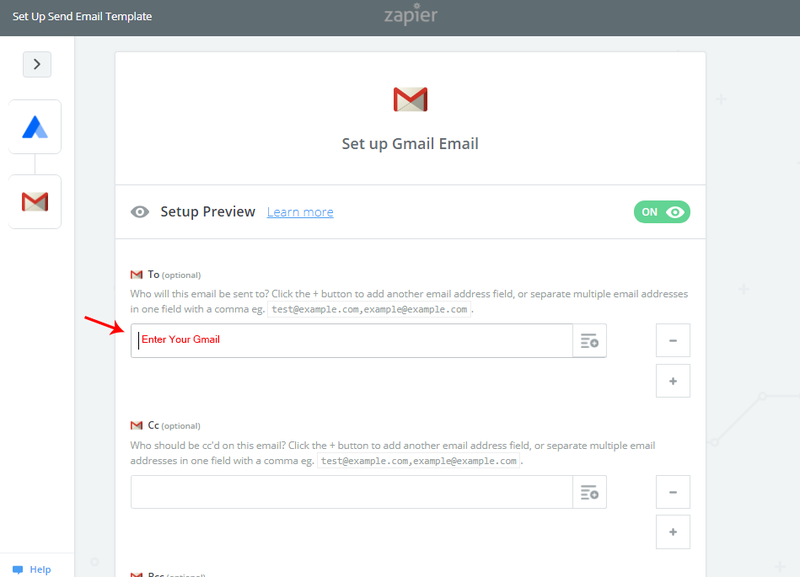 Check preview and fill required boxes where you wanted to send and from details. Subject and Chat transcript already selected by us, After complete this step Gmail will send this preview sample email. Need to click on finish button for the final step of zap. 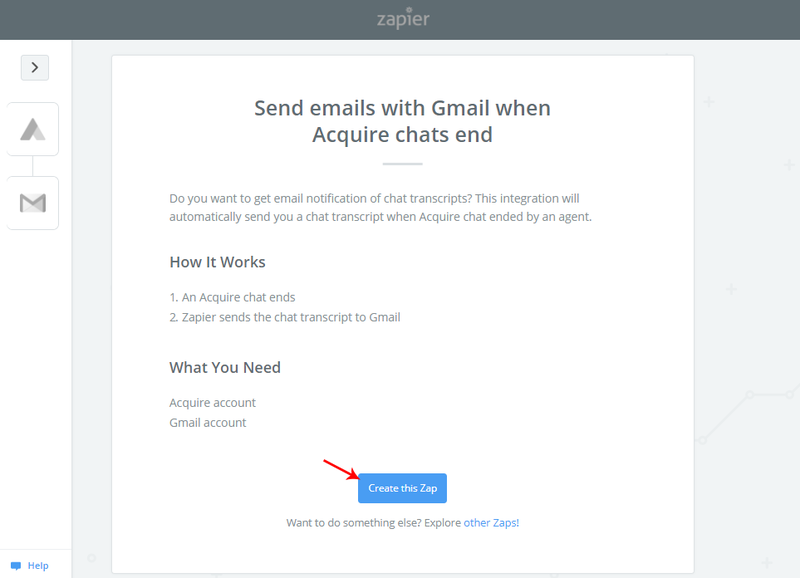 Turn the Zap on by clicking on the grey switch and start sending an email when recent Acquire chat ends. 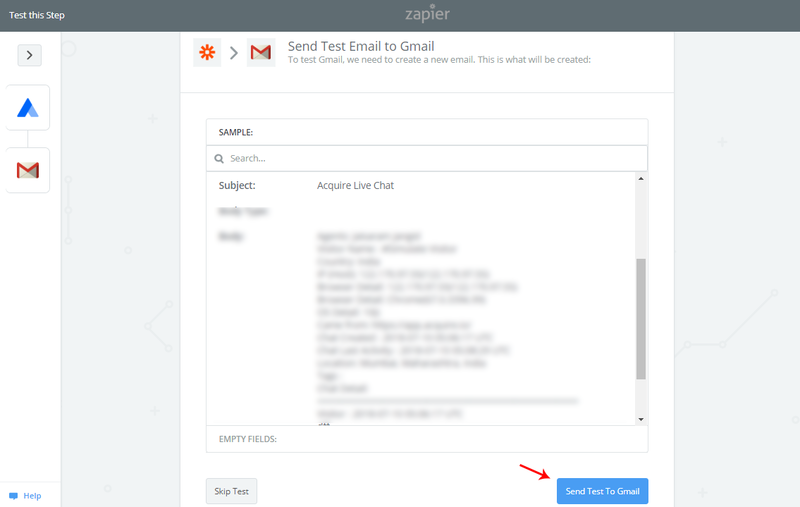 Zap will send email on given time interval like in below image there are 5 minutes, it will send emails after 5 minutes when the trigger will get recent chats from your Acquire Account.